The HypnoBirthing Programme has been introduced by qualified Midwife throughout South Wales and the South West of England. On this MumMeBaby page you will find information about; You, Mum, your HypnoBirthing Practitioner, Me, your Baby and the role of your birthing partner. What is Hypnosis and Self-hypnosis? Each year thousands of babies are safely born in the hands of midwives and doctors within the NHS. However, many women have fears and anxieties around their expectations of giving birth and are looking for alternatives, such as Hypnosis. Hypnosis is not "the work of the devil" as someone may think. It is a natural state of mind and most of us, even though we don't recognize it, enter a hypnotic state many times a day. For example, daydreaming focused concentration when watching a move or reading a book, road hypnosis, deep relaxation and meditation or any redirected focus. We can become environmentally conditioned through both positive and negative messages coming in the form of suggestions. The hidden hypnotists in our lives are the people who plant suggestions from the time we are born; our parents, siblings, relatives, teachers, and friends. Suggestions are at the root of all our behaviors, self-esteem, motivation, career status and our overall success or failure. All hypnosis are self-hypnosis, even when facilitated by a therapist. Self-hypnosis refers to a person's working alone or with a relaxation tape or other aid. It’s a method that can be safely used through guided imagery and visualization. HypnoBirthing is an antenatal education program that teaches parent’s deep relaxation, visualization and self-hypnosis, which then promote a calm pregnancy that prepares you for a safe and comfortable birth. It will help you to see the birth as a natural process and will build the trust and confidence in yourself. 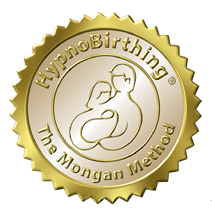 HypnoBirthing can help you to manage the physical and psychological challenges of your pregnancy and birth. The strength and abilities you naturally have will be released to bring your baby into the world in a calm and gentle way as intended by mother nature. W. Clement Stone, businessman, author. Medical professionals now recognise the benefits it offers women, babies, families and society as a whole. The feedback from HypnoBirthing mums, midwives and doctors, who witness births every day, is a testament to the difference it makes. HypnoBirthing is effective for all types of birth, home, water, hospital, birthing centre, and caesarean. These are some of the elements you will learn in the structured yet informal classes that are not covered in most antenatal education sessions. Helps return childbirth to a beautiful, peaceful, natural experience. 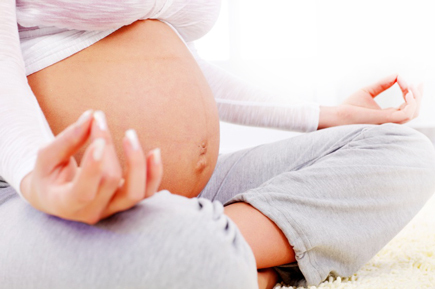 Releases fears you might have and helps you to a relaxed and enjoyable pregnancy. A special, integral role for the birthing partner. Promotes bonding of mother, baby and birthing partner starting from pregnancy. Helps you to decide about your birth preferences. A calm and secure birth experience rather than a tense, stressful ordeal. Reduces risk of hyperventilation from 'shallow breathing. Simple techniques will promote a natural birth , reducing the need for induction. Shortens the early stage of birth by several hours. Reducing the hospital stay by a timely arrival. Alleviate fatigue during latent early stage of birth, leaving you energised for the actual birth. Fewer breech presentations and other complications. You will feel confident, informed and in control when liaising with medical staff. The likelihood of interventions such as, episiotomy, assistant delivery and caesarean are reduced. More importantly, you’ll know how to relax, be calm and stay in control regardless of what is happening around you. Postnataly you will feel happy, alert and energised. Having your baby skin-to-skin will help create a greater bond between you and your child. HypnoBirthing babies generally get a higher APGAR score, they do not cry but smile straight from birth and have better sleeping and feeding behavior. Research shows that HypnoBirthing significantly reduces cases of PND. *APGAR Score is an assessment of overall newborn wellbeing. The APGAR test is done after delivery and scores are recorded one to five minutes from birth. * PND - post-natal depression. Special breathing and visualization techniques for relaxation. Really works. A range of HypnoBirthing relaxation techniques for a more comfortable and easier birth. Many visualisations to enable you to work confidently with your body. Massage techniques to release endorphins. Fear release techniques to overcome concerns about giving birth and parenting. Skills to enhance your confidence and build a sense of calm. This will help you look forward to the birth of your baby. Rule one: The mind can hold only one thought at a time. Opposite thoughts cannot be held simultaneously, therefore, affirming positive thoughts creates a positive outcome. Rule two: Thought precedes reality. What one says is what one gets. Intention creates experience. Rule three: For every thought or emotion there is a related physical response. Thoughts that are imprinted into the subconscious create a biochemical response within the body, hence, over a period of time we can create our own health or illnesses with conditioned responses. The rich get richer; the poor get poorer. Rule four: New programming in the subconscious is always more powerful and always wins out over the past programming when the two are in conflict. Rule five: Once a thought is accepted and acted upon, behavior becomes easier with each subsequent similar thought. Continued reinforcement of a positive thought or action tends to make the thought more readily accepted and it becomes easier for additional suggestions of the same nature to be accepted. Rule six: Once thought is accepted by the subconscious mind, it remains until it is replaced with another. We provide non-therapeutic services therefore our title is ''Hypnotist'' and not ''Hypnotherapist'' as we do not independently work with medical or mental disorders and we do not ''diagnose'', ''treat'' or ''prescribe''. Our role as a Hypnotist is clear. We will teach you how, through a state of relaxed concentration, suggestions and imagination you can achieve a beautiful and serene birth without fear, tension and anxiety. You can use these invaluable techniques of visualization and relaxation again and again. Helping you to deal with almost any problems, challenges and issues, or simply to relax and enjoy this wonderful world of self- hypnosis. Teaching positive thinking, increasing your enthusiasm for self - improvement will benefit you and those around you. The classes are taught in a format of four, two and a half hour session. Groups are kept small enough, so that individual needs are fully satisfied and techniques are mastered. This facilitates the opportunity to ask questions and obtain a good understanding of HypnoBirthing techniques. You will leave feeling confident in your ability to have a positive birth experience. It is vital that your birthing companion attends all the classes. The best time to begin your HypnoBirthing classes is between 16 – 32 weeks. If your birthing time is closer than this, or if you would prefer to have one to one tuition, please contact us as we can make special arrangements for private tuition with you. Please contact us if you have any questions regarding the course, pregnancy or birth. Any doubts which course suits you, one-to-one or group tuition, please contact us and we will help you to decide. RELAX AND PREPARE YOURSELF PHYSICALLY AND MENTALLY FOR THE WONDERFUL BIRTH YOU DESIRE!